In recent years, coin collecting has become a popular hobby among people of all ages according to CoinStudy.com. Thus, the value of certain rare coins has soared to new heights. Rare dimes are disappearing into private collections at a rapid rate. Finding a rare dime, based on dates and mint marks, could yield an undiscovered treasure. That is why it is smart to learn how to identify rare dimes. Consult the “Official Red Book” on United States coins. This guide explains the history and covers the values of historical coins minted by the United States. It lists every single coin ever minted along with a photograph making it easier to identify. Search the Internet for the dates and mint locations of famous and rare dimes. Cross-reference this list with the dimes in your collection to see if any of them fall within the categories. Numerous dates and mint marks can make a dime rare. Scour online markets and stores to find out what prices similar dimes are being sold for. This step will ensure you will get the maximum price for your rare dime if you decide to sell it. Online auctions and marketplaces are excellent places to sell rare dimes for the highest possible price. Read and learn as much as you can about identifying rare dimes. Vast stores of information can be found in books, online message boards and forums. Ask questions and post pictures to see if a more experienced collector can help identify your coins. Appraise your coins at a local coin dealer. Most major cities have at least a few shops where a knowledgeable coin expert can appraise valuable coins. Remember to ask questions and learn as much as you can from these experts. This will expand your knowledge about identifying rare dimes. Always keep coins in a safe environment in order to reduce wear and tear. 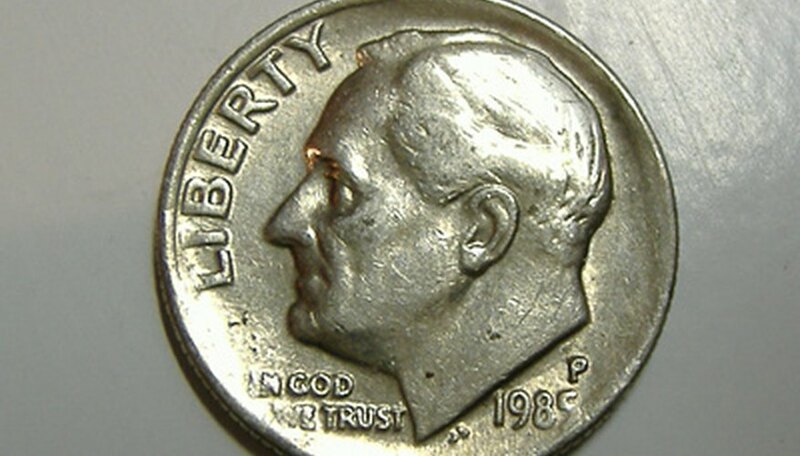 Scratches and marks will reduce the value of any rare dime you may have come across. Never be emotional and sell your dime without doing the proper initial research. There are people who offer low prices to scam uneducated coin collectors. When in doubt, always say no and do research before making any sale. Pranav Reddy started writing professionally in 2010. He has written automotive, society, culture and science articles for various websites. Reddy is pursuing his Bachelor of Science in molecular biology and neuroscience at the University of Colorado, Boulder. Where Can I Sell My Canadian Coins?